Philip Daniel Bolden – Biography, Age, Family, Where Is He Now? Home Actors Philip Daniel Bolden – Biography, Age, Family, Where Is He Now? Most movie stars started out their careers in their teens or in their young adult age, however, there are those who started out as toddlers and Philip Daniel Bolden belongs to this latest group. One of the hit movies of 2005 titled Are We There Yet? which featured the likes of Ice Cube and Nia Long wouldn’t have created the wave or aroused the amount of interest it did without the born talent of Philip Bolden. Bolden who became famous as a toddler is a living testament to the fact that there are born actors. In 2006, he was nominated for the Young Artist Award, as the Best Young Actor for his role in the comedy-drama, Are We There Yet?. In 2007, he was given the Young Artist Award as Best Ensemble for How to Eat Fried Worms. The movie star is now a grown man below is what he is up to. Philip Daniel Bolden was born on March 19, 1995, with the birth sign Pisces in New Orleans, Louisiana in the United States of America. There is a scarcity of information with regards to his education, especially his elementary and high school days. Nevertheless, Daniel was a student of the British American Drama Academy (BADA) situated in Oxford, England. He went ahead to bag a BA (Hons) in professional acting from the London Academy of Music and Dramatic Art (LAMDA). Philip Daniel Bolden made his acting debut in 1999 at the age of 4 when he played the role of Roland, a toddler, in the film Mystery Men. In the year 2000, he featured in the movie Little Nicky. Other movies to his credit include Johnson Family Vacation (2004), Are We There Yet? (2005), How to Eat Fried Worms (2006). The year 2005 was the year Bolden came to limelight with his performance in the film Are We There Yet? which sold 3.7 million DVDs worldwide while raking in $98 million in gross profit. 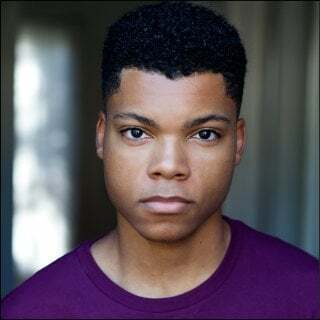 Bolden played the character of Kevin Kingston – a young kid who with his elder sister, Lindsey Kingston (played by Aleisha Allen) disapprove of their mother’s (Nia Long) new relationship and does everything to destroy it. As a result of his outstanding performance in the film, he was nominated for the Young Artist Award in the category of Best Young Actor. Soon after, he won the Young Artist Award for Best Ensemble for the movie How to Eat Fried Worms in 2007. Philip Daniel Bolden is from a mixed ethnic background. He was born into the family of Kenny and Kristen Bolden. There is no adequate information relating to the background of his parents and as to whether he had other siblings. For his relationships, the young actor’s last known relationship was with Aleisha Allen, his co-star on Are We There Yet and its sequel. Details regarding how they met is unknown but the relationship ended in August 2007 when the duo went their separate ways and ever since, nothing has been heard about his love life. However, a source who admits to being very close to Bolden, shared everything about the qualities the actor desires to have in a lady who would be his soulmate. For Bolden, finding a relationship worth sacrificing for hasn’t been easy. He is presently single and ready to mingle. He wants to hook up with someone his age who is not interested in showbiz – and who won’t be busy touring or casting in movies. Within the short time he launched his acting career, Philip Daniel Bolden has made an impressive amount from his long list of filmography and television sitcoms, it’s crystal clear that Philip is definitely enjoying a sumptuous lifestyle. He has many fans owing to his wonderful acting skills. Besides acting, the young lad has a flare for branded dresses and shoes which he has been involved in designing and selling. Philip Daniel Bolden’s net worth was last estimated to be $5 million. Where Is Philip Daniel Bolden Now? After his appearance in the movie, Fly Me to the Moon 3D in 2007, Philip Daniel Bolden went off the grid and nothing was heard about him again, especially not in Hollywood. According to a source, Bolden said he felt trapped within Hollywood and the fame that he came into as a child actor. At a point in his life, he felt suffocated and was threatened by the fact that this was all going to take him away from his normal life. He wanted to live the life of a regular teenager, which was why he decided to quit Hollywood and his parents were fully supportive of him. Nevertheless, in 2018 he resurfaced. The former child actor after a decade resurfaced and featured as Jed Crossland in The Dead Girls Detective Agency, a TV series directed by Suzi Yoonessi. So far, Bolden was seen in only 3 episodes. Currently, he is working with the cast of in Izombie, a TV series too. Philip is not active on any social media platform. There is no information with respect to his state of residence as the actor maintains a low profile.